The Starcraft XL comes built on two different chassis configurations: the Ford F-550 chassis and the International UC chassis. 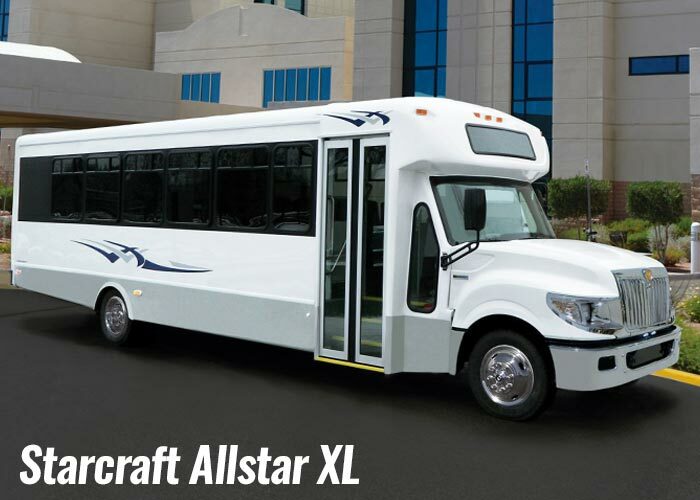 The Allstar XL is the big brother of the Allstar with the ability to carry up to up to 33 passengers including the driver. 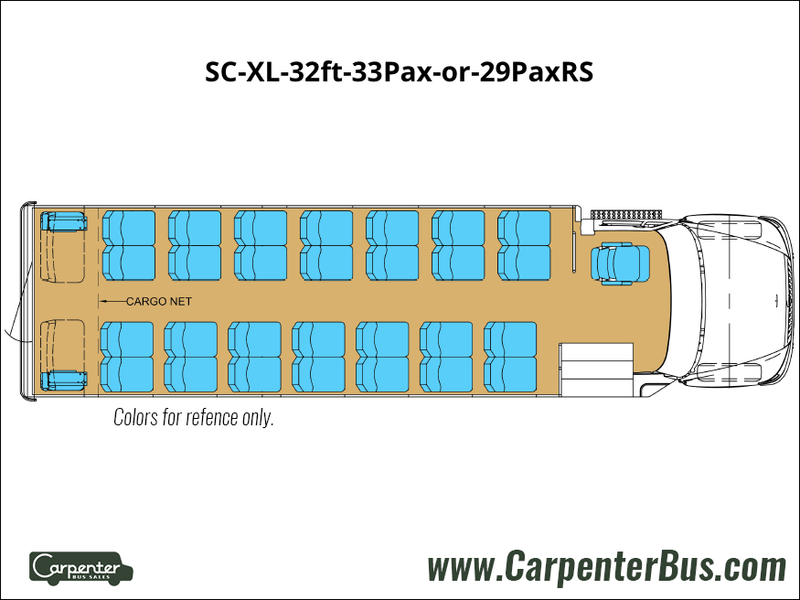 Similarly to the Allstar, the Allstar XL uses straight side wall construction, which helps to create the most shoulder space possible as well as creating a wide center aisle. As with all other models of Starcraft buses, the Allstar XL can be configured to carry all passengers, passengers with storage or passengers with multiple wheelchair stations. The comfort on this bus isn’t reserved only for the passengers. 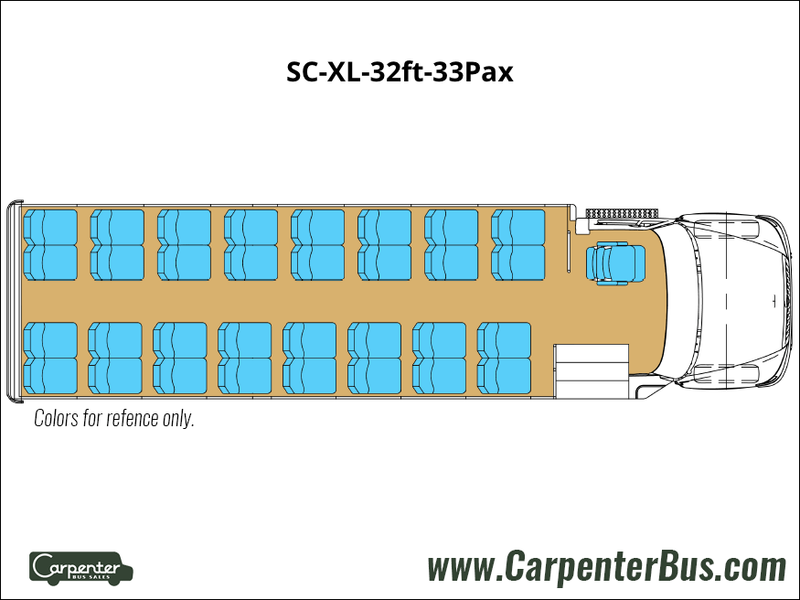 The driver’s area of the Starcraft Allstar XL is extremely spacious and affords the driver with plenty of room. In addition to allowing the driver to get in and out of the seat easier, the driver’s area is very open which helps with overall visibility. Finally, whether its the forward-tilting hood for ease of maintenance or the air suspension driver’s seat for a better ride, the Allstar XL’s standard chassis features beat the competition hands-down. 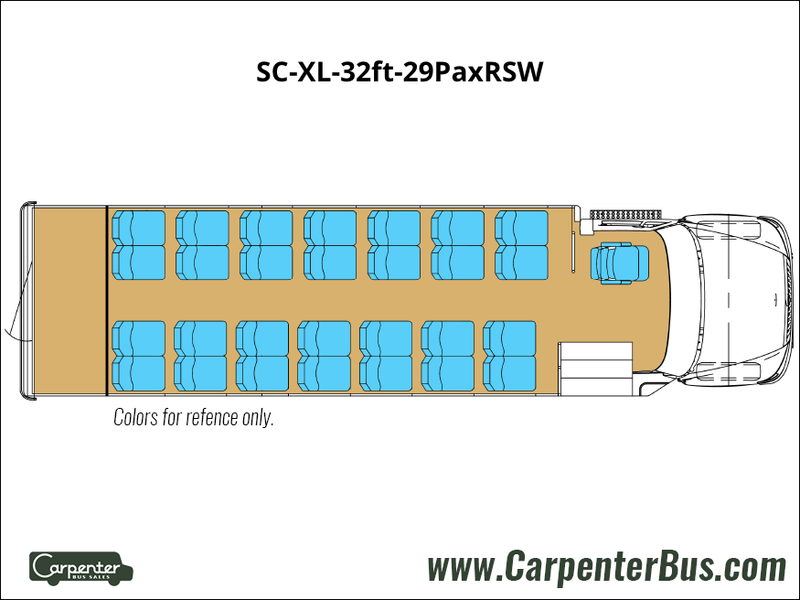 If you are in the market for a well built, full size commercial bus, look no further than the Starcraft Allstar XL bus.